End-user expectations, hyper-aggressive competition, speed-to-market demands and regulatory changes have forever changed the way service providers approach their customers. This – coupled with the complexities of network evolution, profitability pressures and commoditization of core business lines, such as voice and data – has forced providers to explore innovation in ways never before imagined. We install, troubleshoot, repair, upgrade and maintain wireless networks for offices, small, medium, and large businesses, educational institutions, government organizations, , transportation depots, hotels, airports, hospitals, and convention centers. 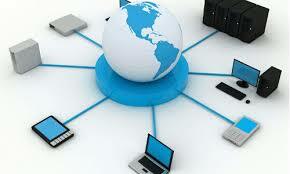 We have experience with wireless installations and wireless LANs (WLANs) in the widest range of environments. WiFi networks offer increased mobility and greater productivity, that’s why many business owners and managers turn to wireless solutions to cut the costs and improve efficiency. We are a very experienced wireless network installer with a long and history a wireless projects all the way from wireless network design, to engineering and installation services. Policies – Creating policies to be applied to User Roles and Devices. These policies increase security by limiting users and devices to only the resources necessary for them to function on the network. They also improve functionality by assigning priority to latency sensitive applications running on devices. Authentication, Authorization, Accounting (AAA) – 802.1X setup authentication method utilizing centralized directory database and strong encryption to secure communications. Voice Services Automatic Voice Prioritization – Configuration of Voice Services providing classification, recognition and prioritization based upon voice sessions. Service Set Identifier (SSID) – Configuration broadcast SSID of client WLAN access accross appointed access points.